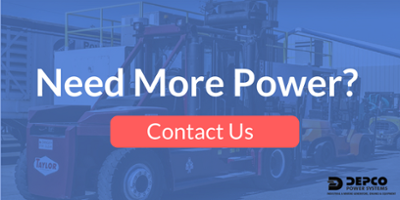 When planning to purchase a large load generator, there are multiple factors that should go into selecting the power source that will supply your commercial or industrial needs most effectively and efficiently. With the power to run an entire city block, a 1250kw generator could be just what you need to keep your business running smoothly. We understand that making such a major equipment purchase can be daunting and we’d like to help. As you consider your potential generator’s needs, you’ll want to know what your future power source is capable of, what your operational needs are and how the brands compare. What Can a 1250kw Generator Run? A 1250kw stationary engine generator can provide emergency or continuous power to run a variety of processes in a variety of environments. For instance, a major healthcare facility in the city will need to ensure their working systems and patient care go uninterrupted during power outages. Additionally, operating facilities such as remote oil fields that lack access to traditional power sources will need round the clock energy to maintain their operational ability. A 1250kw generator can also provide a reliable power source for data centers, construction sites, mining facilities, government facilities, and more. What is the required electrical load the generator will need to supply? Will your generator need to run continuously, as the primary source of power for your building or application, or will it be a backup or emergency power source if the main electricity goes out? What are the environmental conditions where your generator will be located? In essence, what do you need your generator to do and how do want to do it? You can access more detailed information for determining your equipment needs by downloading our helpful Buyer’s Guide. Now that you’ve determined that a 1250kw generator will supply your operational needs, you’ll want to compare brands. Industry-leading brands such as Cummins, can provide a reliable power source for a wide range of applications in a variety of environments. Among other trusted brands, you’ll want to include Caterpillar and MTU in your search. Will a cheaper model suffice or will a higher quality model be worth the higher price? What are the expected maintenance and repair costs? What is the estimated Return on Investment? Do you have more questions or maybe you’re ready to make a purchase? Our trustworthy Depco sales team has the industry expertise to help you the find the right machine, at the right price, for your specific power generation needs. Check our available stock to find out how we can help you balance your investment and performance priorities and contact us today. Let us help you find a 1250kw generator to suit your needs. We look forward to hearing from you.